Atreve-te! Salta! 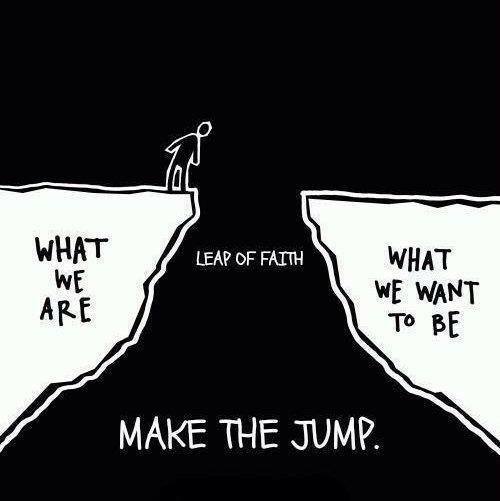 / Make the Jump! Cada vez que enfrentamos um desafio temos de decidir o que fazer. E se em vez de ficarmos aqui, apenas à espera seguíssemos adiante e lutássemos pelos nossos sonhos? • Torna-te um bom Comunicador – cuida das tuas aptidões na área da comunicação para que os outros realmente compreensão a tua mensagem. Each time we face a challenge we need to decide what to do. What if instead of staying there, just waiting we decide to go forward and fight for our dreams? • Become a great Communicator – Take care of your communication skills, so that others really understand what you mean. Life… it’s so easy, why complicate it? MUDANÇA – Que presente! / CHANGE – What a gift! A lot of what you state is supprisingly legitimate and that makes me wonder why I had not looked at this in this light previously. This particular article truly did switch the light on for me personally as far as this particular subject goes. Nevertheless there is just one point I am not necessarily too comfortable with and while I try to reconcile that with the core idea of your point, let me observe just what all the rest of the readers have to point out.Nicely done.